I am a lucky girl. 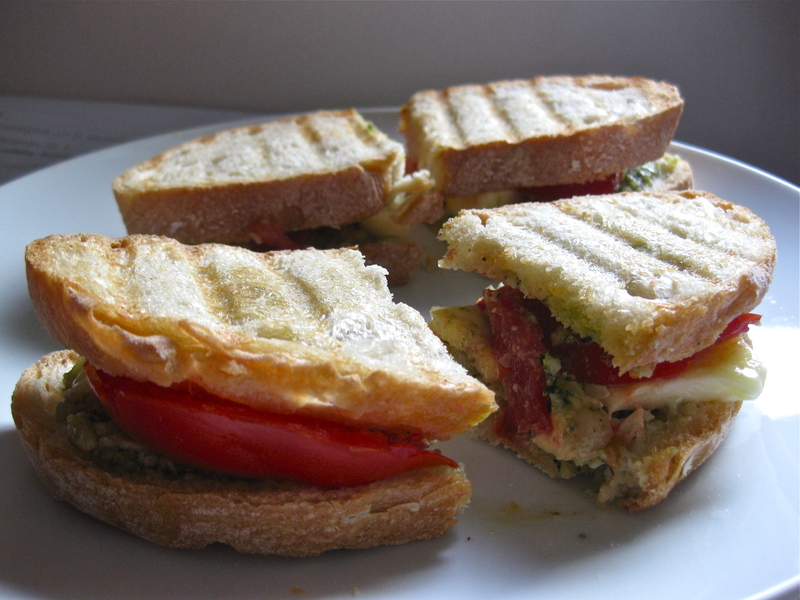 My first tomato, mozzarella, basil panini was in Cannes, France, where I was studying one summer. After my first bite, I knew that I would be eating this sandwich for the rest of my life. And that is not an understatement. 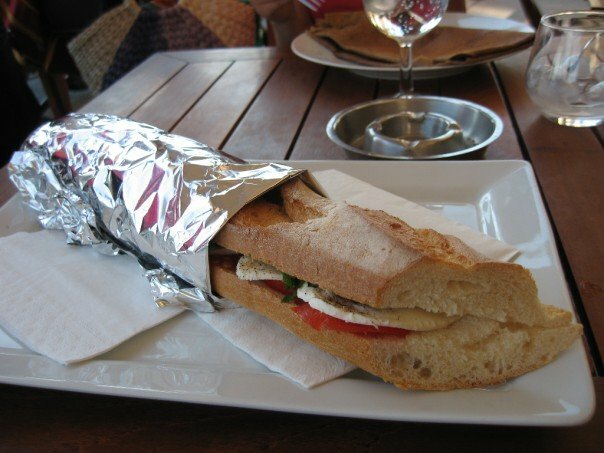 I ordered this panini at every lunch and every dinner, occasionally swapping this sandwich for a Nutella panini. In France, you’re allowed to eat whatever you want, right? Fast forward a few years and we reach the stage of student cooking, or rather, “preparing”. 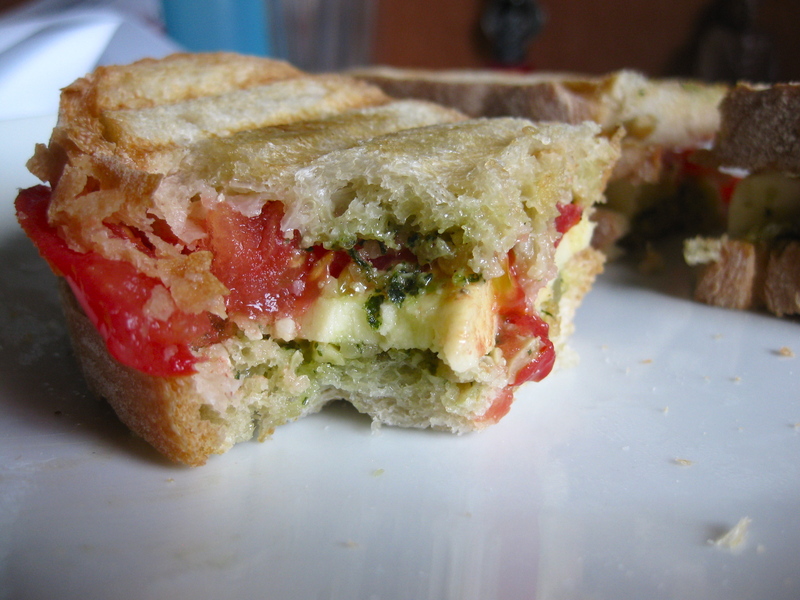 The taste of a good, ripe tomato (which is hard to come by nowadays) with creamy mozzarella and nutty basil pesto, or even just fresh basil, is a taste that makes me swoon, time after time. I’d take one of these bad boys over any packaged noodle mix, frozen dinner, or take-out pizza any day. It’s a shame that the cheese in Australia stinks. Pun aside, cheese comes in only several variations, particularly when we’re talking about a local grocery store and on a normal budget. You can get cream cheese, you can get feta (though it’s not very good), and best of all, you can get the ambiguous “Tasty” cheese. “Tasty” cheese is American cheese. I guess Australia just didn’t want any nationalistic cheese pride on its shelves. The mozzarella department is lacking. Either that or I’ve been spoiled with the taste of farm fresh mozzarella before. The cheese is tougher, less creamy, and overall less flavorful. 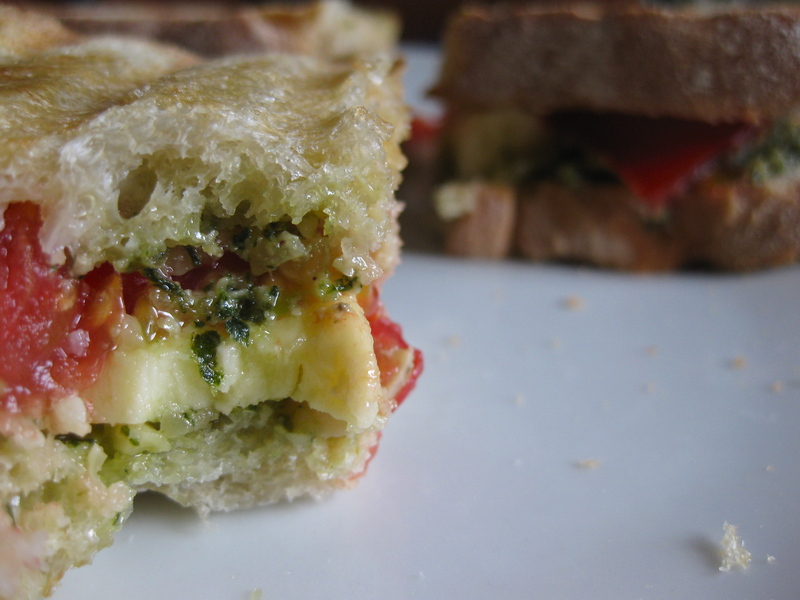 Nonetheless, mozzarella of any sort on my panini will suit me finely. I’m starting to think that I will open up a store in Australia that only sells cilantro, black beans, Skippy and good, real “tasty” cheese.